It seems everyone knows the brand Christian Dior either through their range of high-quality clothes or their vast array of beautiful fragrances. We at Raw Beauty Studio love our selection of Christian Dior perfumes, from our ever popular Poison range through to the lesser known Dior Homme colognes. 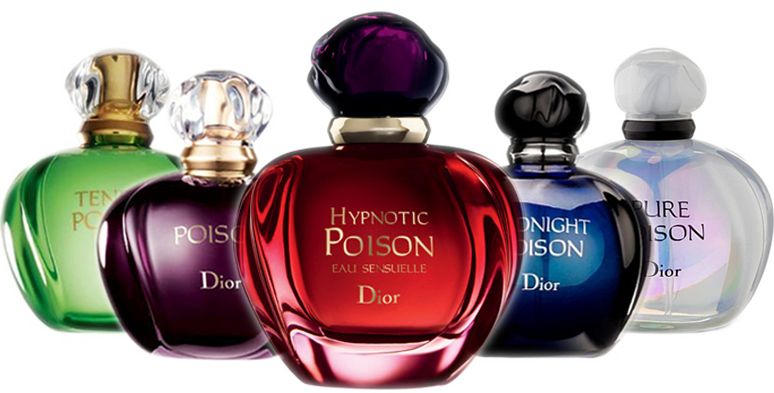 Christian Dior released their first fragrance in 1947, and despite the man behind the brand passing away just ten years later, they have released over 200 different perfumes and colognes since with one of those most recent releases being Poison Girl in 2016. So what sets Christian Dior out from the rest? With Miss Dior, named after his sister Catherine, this feminine scent has notes which include Musk, Green Tangerine, Patchouli Leaves, Pink Jasmine, Violets and Wild Strawberry. This fragrance encapsulates the most elegant ingredients that leave the wearer feeling and smelling amazing no matter the occasion. Our Men’s selections haven’t been left out either. With the wildly popular Fahrenheit and Sauvage range of colognes and aftershaves. With dominant notes of Honeysuckle, Jasmine, Lavender, Leather, Lemon and Lily of the Valley a must for any man wanting to set themselves apart from the crowd. Christian Dior has been represented over the years by some of the most well-known celebrities that include Johnny Depp, Charlize Theron, Natalie Portman and Robert Pattinson. Raw Beauty Studio stocks up to 60 different Christian Dior fragrances, and we are confident that with such a wide selection available that you will find something to enjoy. So if you’re replacing your empty bottle or looking to discover a new brand, or you’re a fragrance aficionado we feel confident that Christian Dior will have something you will love or that special someone in your life will love. All our Christian Dior products can be found in store today, so happy shopping.